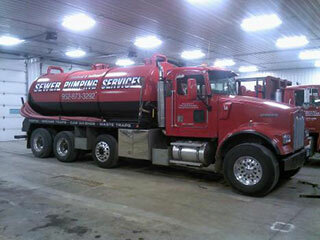 Thaemert Septic Services - The specialists in commercial and residential septic pumping. We offer excellent service at an affordable price. Our experienced staff will be happy to answer any questions you have about septic system functions and maintenance. We always respect your property and waste is handled and disposed of in a safe and environmentally friendly way. Emergency septic service is available 24 hours a day. Parking garage maintenance - pressure washing: For more information please visit our Sewer Pumping Services site. 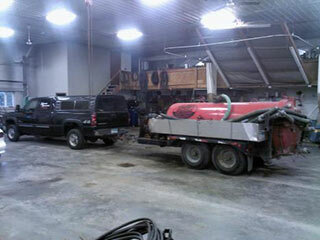 Our services also include pipe jetting, and pipe televising and location. To gain access to underground parking ramps, Thaement Septic has a low profile vacuum trailer unit. We offer septic compliance inspections and notify your city or county that your septic maintenance pumping has been completed. 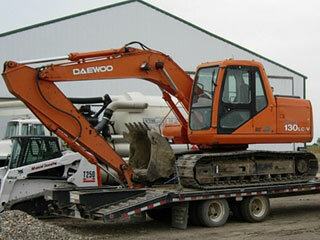 We also take care of any permits that may be required. Thaemert Septic offers trenchless sewer work and are licensed and equipped to handle most situations requiring open excavation. We have state licensed personnel to handle any matter pertaining to septic systems. Thaemert Septic Service makes a donation to the ASPCA and Humane Society from every service we complete.